A so called diamond buffer with the gain of 1. The Sjöström Super Buffer can be used in any hifi equipment. People have used them in CD player tweaks, as line buffers in preamps etc. The pcb is BLACK with Yellow print, has four layers, gold pads and parts on both sides. It's a built unit. The buffer is hand soldered by Per-Anders Sjöström, the shop owner. Two boards are required for stereo. 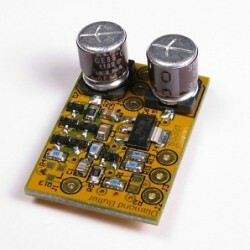 The pcb fits virtually any SOT23 small signal transistor and almost any SOT223 power transistor. The emitter loads have cascodes in order to increase linearity. SMD caps, including electrolytic caps. SMD parts which makes the buffer very small and thin. 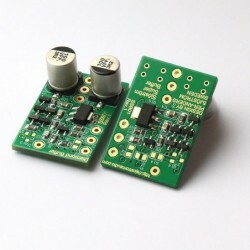 Input LP-filter if you have problems with RF interference, if not just omit it. Crossover distortion reducer for the opamp. This is a popular circuit in the DIY community. 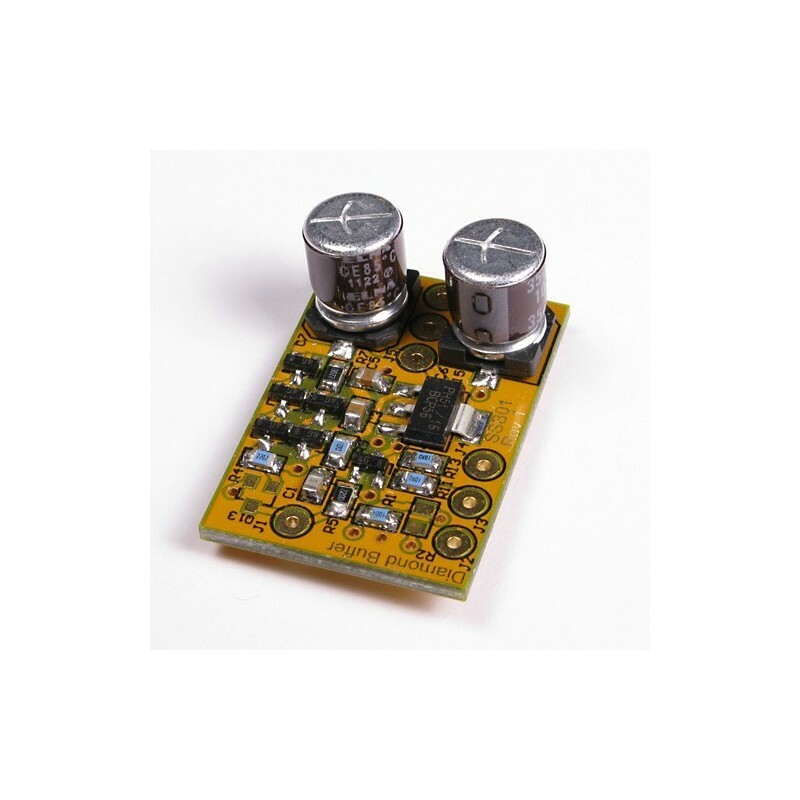 Useful for anything as long as power supply voltage is within limits and load not to heavy. Professional pcb with groundplane which establish good cooling and shielding.